Eighty-five (85) two-car diesel multiple units of class 150/2 were built at BREL York during 1986/87. 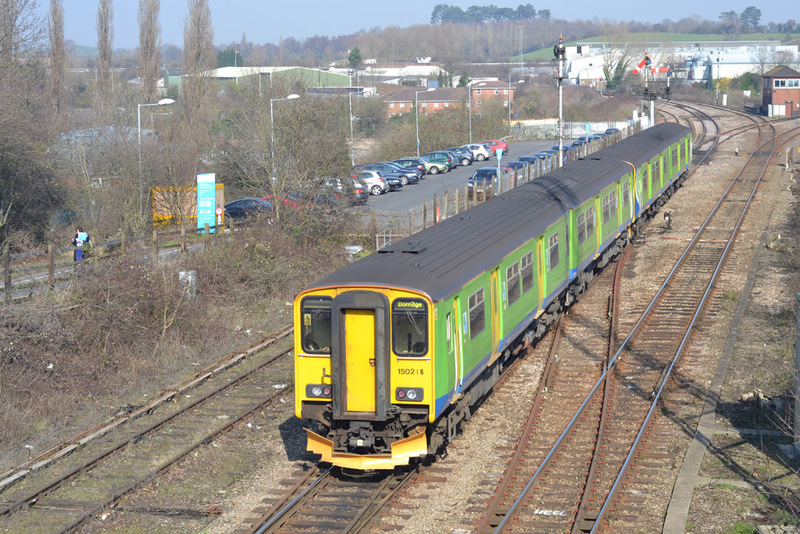 These were operationally similar to the earlier build of class 150/1 with the exception of having gangways throughout enabling them to operate as integral sets with other units of the same class or they could be split into half and used in combination with 150/1's to form three-car units. 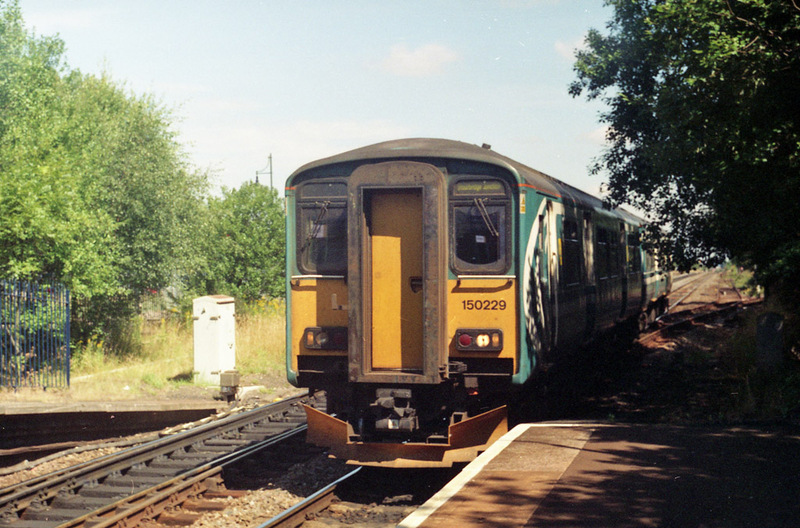 On 15th September 2002, No.150202, one of Tyseley's two-car class 150/2 diesel multiple units is seen arriving at Malvern Link Station with the 13:43 from Birmingham New Street to Hereford train. The large tower in the background is part of Malvern Fire Station. The units is in Centro livery. Photograph taken by Andrew Smith. In the livery of Anglia Railways (its previous operator) No.150229 arrives at Rowley Regis on a Central Trains/Centro service to Stourbridge Junction. Units Nos.150213, 150217, 150227, 150231, 150235, 150237, 150255 and 150257 were all operated in this livery by Central Trains. Photograph taken by Andrew Smith. A close-up view of car No.52213 from two-car class 150/2 diesel multiple unit at Worcester Shrub Hill Station after arriving from Birmingham Snow Hill on 23rd August 2007. Photograph taken by Andrew Smith. 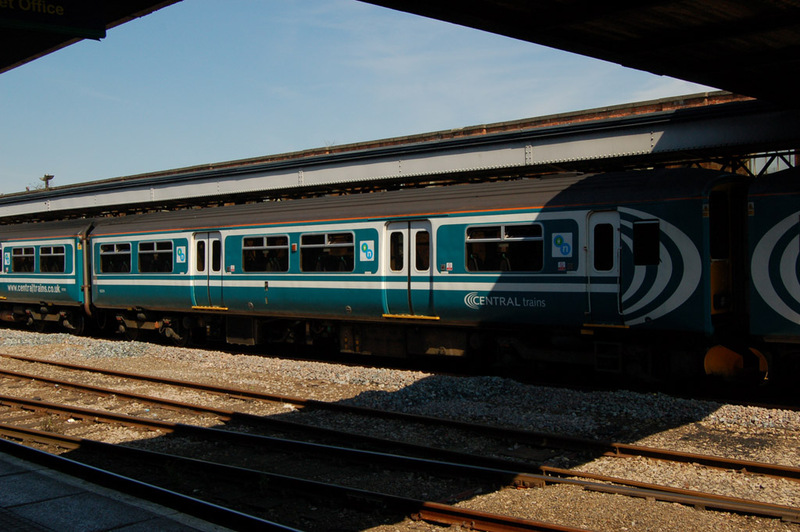 Having previously been operating as centre cars in the three-car class 1500xx series, No.150216 (on the left) had been re-formed as a two-car set. 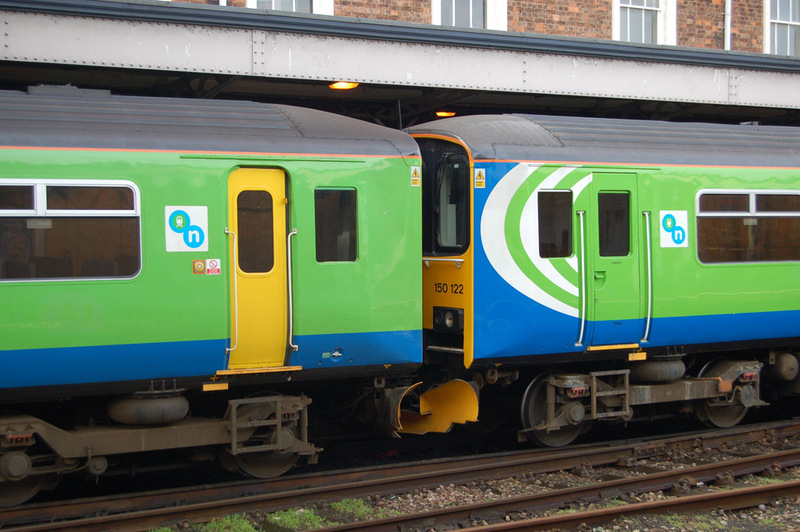 When the three-car sets were repainted into a later Centro/Network West Midlands livery the centre cars were not given the pretty swirls as seen on No.150122 (on the right) in this photograph taken at Worcester Shrub Hill on 31st January 2008. Photograph taken by Andrew Smith. 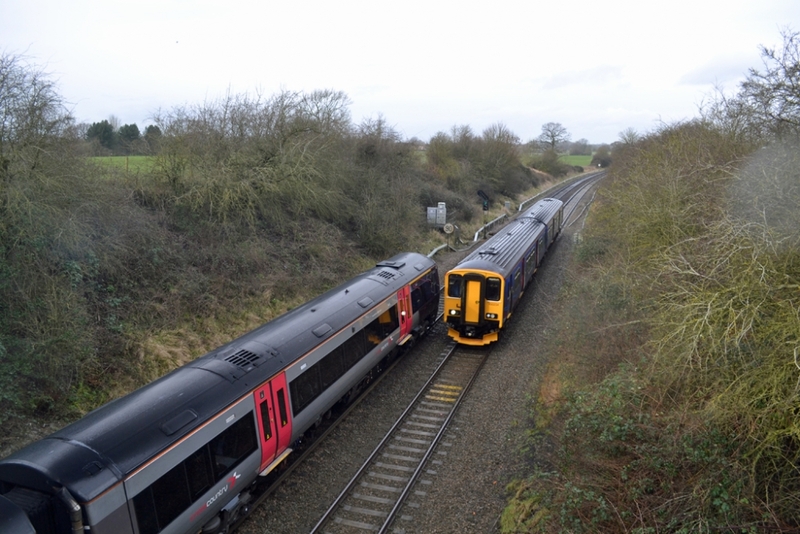 This unusual paring of class 150/1 diesel multiple unit leading a class 150/2 unit was seen at Droitwich Spa on 8th March 2011. The train, which is heading away from the photographer, is the 13:17 from Worcester Shrub Hill to Dorridge. No.150124 is at the front of the train with No.150216 making up the last two cars. 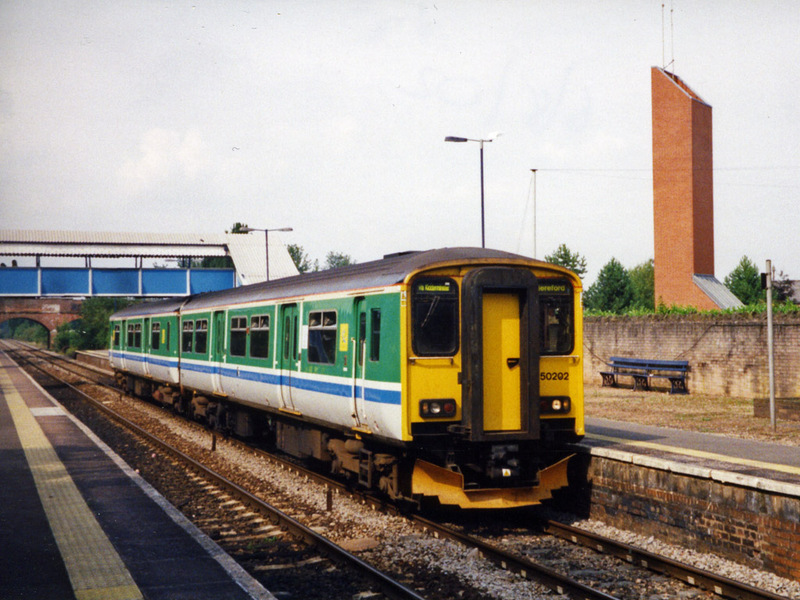 This latter unit was another running as centre cars of three-car class 150/0 units when repainted and therefore did not acquire the 'Swirly Stripes' wrap around the cab. Photograph taken by Andrew Smith. This photograph was captured using a Nikon 3100 digital with a telephoto lens setting at 330mm and at 1/640 of a second at F5.3. 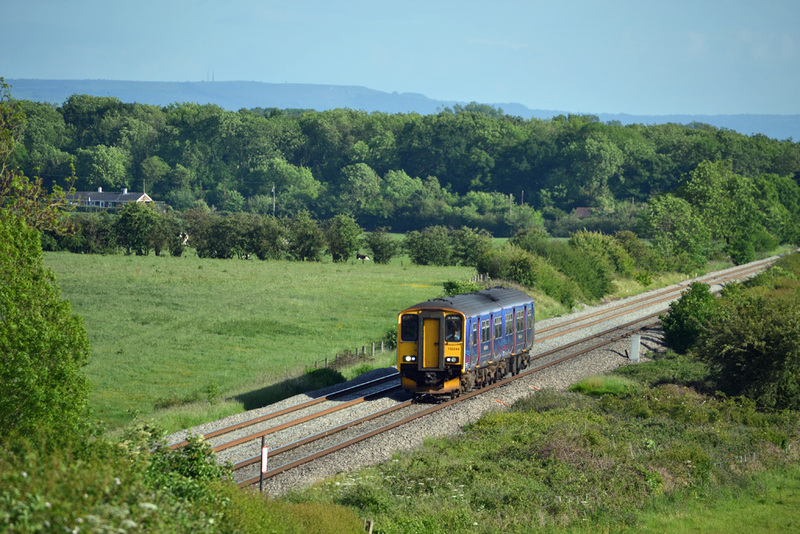 The foreshortening effect of the telephoto lens has produced this highly dramatic image of class 150/2 two-car diesel multiple unit No.150244 with the 15:28 First Great Western service from Warminster to Great Malvern. Photograph taken by Andrew Smith at Abbotswood on 27th May 2011. Cross Country Trainsclass 170/1 diesel multiple unit No.170105 working the 11.45 Cardiff to Nottingham service (headcode 1M64) was brought to a halt at Abbotswood Junction whilst Great Western Railway's class 150/2 two-car unit No.150234 gained the Birmingham to Bristol main line with the 12.51 service from Great Malvern to Weymouth (headcode 2O90). Photograph taken by Andrew Smith on Thursday 28th January 2016.